It’s been an amazing last couple of weeks. We sent nearly 40 people to the London Citizens Mayoral assembly which called on whoever became mayor to support, among other things, a Deputy Mayor with responsibility for facilitating integration of new immigrants. Many of us have come as immigrants or have family members who came as refugees in years past, so this is very real for us. Being part of the core team from Citizens UK working towards the passage of the Dubs amendment meant a flurry of activity for me: providing quotes for press releases, organising letter signing from other rabbis as well as contacting my own MP and encouraging congregants to do so. But now the amendment has passed the work really starts—encouraging schools to become Welcome Schools and asking local authorities to commit to accepting the children. I wrote on behalf of Lambeth Citizens asking Lambeth Council for their support and we were excited to see their press release in which they pledged to do so https://lambethnews.wordpress.com/2016/05/18/lambeth-offers-to-help-unaccompanied-young-refugees/ We have said we will support them any way we can and will circulate a call for people to sign up as foster carers. Wouldn’t it be great if 300 children came between now and the end of summer so they could restart their education in September? Some have been out of school for years, but when I talk to them their hopes and dreams of studying and for their future have not faded. Last week, I accompanied Lord Alf Dubs and Rabbi Harry Jacobi, both former child refugees, to Calais for them to meet and talk with some of the children there—and for the children to meet people who had been child refugees in years past. It was a very emotional day which galvanised everyone’s resolve to make this happen The BBC covered this visit and produced an excellent feature last Friday morning. For Refugee Week (20-25 June) South London Liberal Synagogue will be holding a special Shabbat Service. Lambeth has resettled two Syrian families so far and two more are expected soon. We have committed to help furnish an unfurnished flat for one of the next families, so have collected kitchen equipment and other items for this purpose from our members. 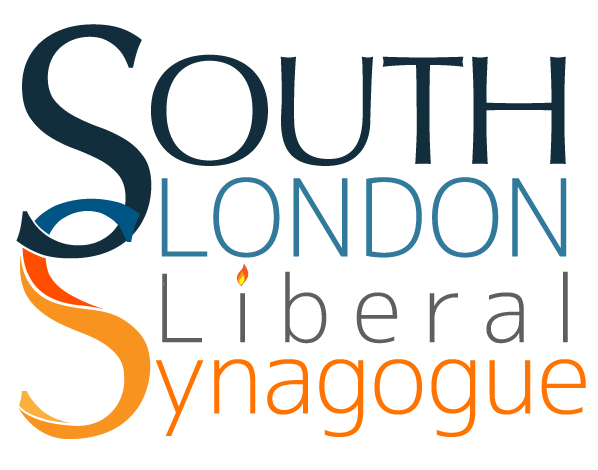 South London Liberal Synagogue is looking forward to, with our neighbours, helping to organise a welcome party for the families resettled in the area later in the summer. We can’t wait to meet our new neighbours!